The Committee met with the Independent Electoral Commission (IEC) to be briefed on the state of preparedness of the Commission to hold the upcoming local government elections on 3 August 2016. The comprehensive presentation informed the Committee of delimitation, the final wards delivery by the Municipal Demarcation Board for the local government elections 2016 and the numbers of voting districts. The presentation also covered registration of voters, voters' roll numbers as at 12 April 2016, the impact of registration in terms of age and gender dynamics and the registration of political parties and liaison. The 2016 local government election in context was also outlined along with stakeholder liaison, recruitment and training of staff, the proclamation date and the election date. Members were then taken through Commission determinations, Information and Communication Technology, conditions for free and fair elections, the Constitutional Court matter, the voters' roll pre-registration weekend vs. the voters' roll currently and the IEC contact centre. The Commission mainted that the issues before the Constitutional court were sub judice but whatever outcome came from the decision, it was ready to execute the order. The Committee questioned the state of Vuwani and if the situation there presented any threats to the Commission. Another area of concern was the outcome of the Constitutional Court matter and what would happen if the outcome meant the elections could not go ahead – Members questioned the plans of the IEC if such a situation arose and what the plan of the Commission was to verify addresses. The Committee was concerned that only 35% of those registered had addresses captured and asked what happened to the information there was previously. Questions were also posed around the possibility of another registration weekend if the Court ruled otherwise. Further discussions were held on the deployment of international observers, the relevance of the IEC SMS number, how the Commission would ensure those that registered actually voted and that they were educated on how to vote, the role of social media in attracting potential voters and the monitoring of adherence to the Code of Conduct and consequences for those not playing by the rules. The Committee also asked about proactive plans to assist those who lived in rural areas who had to, for example, cross rivers to vote, if the increase in voting districts meant an increase in staff numbers, possibilities of shortages of materials on the day, the latest day the proclamation could be made by the Minister and if there were any hot issues still being dealt with between the IEC and political parties which could perhaps threaten elections. The Committee called for political parties to adhere to cut off dates for submission of documentation etc. and noted the importance of elections to democracy. The quality of elections depended on the quality of participation and input of political parties. 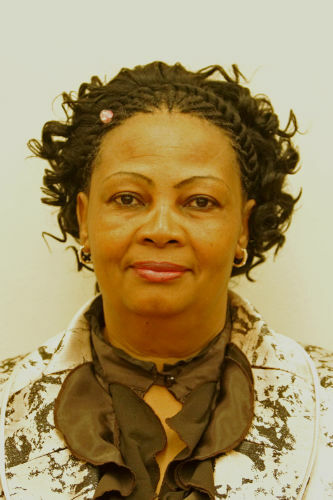 The Chairperson welcomed everyone and thanked the Independent Electoral Commission (IEC) for their work conducted yesterday to ensure that political parties had the correct conscious in terms of the importance of elections and to play their role in delivering free and fair elections. There were a number of factors not within the control of the IEC and there was a role for other actors to play their part – such was the intention of yesterday. Africa and the world knew SA held credible elections and the Committee would continue to encourage civil society and political parties to assist in the IEC in its work. There were a number of things happening around the upcoming local elections, most notably the court ruling, but today the Committee would want to know from the IEC how far it was with all these matters. An apology was noted from Mr M Hoosen (DA). Mr Glenn Mashini, IEC Chairperson, indicated that yesterday was a major key milestone for the Commission's timetable. All 13 political parties represented in the National Parliament were present yesterday by their leaders to sign a pledge that they will abide by the rules of the Electoral Code of Conduct – this Code was prescribed in the Electoral Act for parties participating in the democratic elections. A number of milestones were linked to the elections but the Code of Conduct spanned the pre and post-election period and was a very important part of election activities. Proclamation of the election is the next step by the Cooperative Governance and Traditional Affairs Minister and then the certification of the actual voters' roll and nomination and confirmation of the candidates. The main event was the actual conduct of elections and the announcement of results. The Code of Conduct required all participants to pledge to protect the referee, which was the Commission, similar to a game of sport where the referee, players and supporters all cooperated. The Commission was but part of this particular exercise. In any particular game there were rules and this was the way in which the Code of Conduct operated through the rule of law – all involved were bound to play by the rules including the players and the Commission to each uphold their part of the bargain and responsibility until the match was over. The pledge to the Code of Conduct binded candidates, party officials and office bearers, representatives of parties, card carrying members of parties and supporters. The pledge ensured that leaders at all times observed the Code and took reasonable measures to ensure the candidates, members and officials complied. Various stakeholders were invited yesterday including members of faith-based organisations, interested NGOs and international and domestic observers. Also in attendance was the Chairperson of the Electoral Court, as the ultimate umpire, who also made the pledge. The Electoral Court was a very simple one where one did not even need a lawyer. The game was in the hands of South Africans now to once more realise the ideal for which so many paid the highest price for – the ideal of a free and democratic SA. Mr Mashini added that he was aware that there was interest about what remained before the courts but these issues were sub judice but whatever outcome came from the decision, the IEC was ready to execute the order. The Chairperson hoped the presentation would also speak to Vuwani and possible threats to the work of the IEC. Mr Mosotho Moepya, Chief Electoral Officer, IEC, took the Committee through the presentation looking first at delimitation and noting that there were 22 617 voting districts (54% growth) which would have sub-stations (voting streams). Members were taken through the final wards delivery by the Municipal Demarcation Board (DMB) for the 2016 Local Government Elections (LGE) and the total voting districts since 1999. With the registration of voters, targeted and communication registration initiatives were undertaken. Two registration weekends were successfully concluded in the Republic (5 and 6 March 2016) and (9 and 10 April 2016). The Voters Roll was currently at 26.3 million with growth of 44.6%. Members were then taken through the voters' roll numbers since 1999 and specifically for women vs. men accordingly to different age groups as at 12 April 2016. Mr Moepya then looked at the impact of registration, voters' roll and the registration of political parties and liaison where there were 357 registered political parties as at 13 May 2016 with the most parties in the Western Cape. Looking at the 2016 LGE in context, the 2011 municipal elections were contested by 121 parties and 53 757 candidates in total. In terms of stakeholder liaison, there were Party Liaison Committees in place across all spheres of government. Invitations were extended to unrepresented parties; there were ongoing participations in joint structure to provide ongoing monitoring of conditions in which the elections were to take place and extensive consultations with stakeholders through the National Co-ordinating Forum. A conflict resolution panel was established, extensive communication per electoral process, emphasising cut-off dates in terms of the cut-off dates as per the Electoral Timetable and good working relations with the Inter-Ministerial Committee on Elections. Moving to recruitment and training of electoral staff, approximately 220 000 electoral staff members were to be recruited and trained. Recruitment was at an advanced stage with Presiding and Deputy Presiding Officers already recruited and training almost completed. Training materials were revised to adopt a modular approach - this was easier to organise, emphasised training content and spent defined desired training periods per area of content. Risk management was built in to required staff numbers per municipality. With the proclamation of the election date, the Commission had maintained consultation with the Minister of CoGTA as required in law – once the elections were proclaimed, the voters' roll as at the proclamation date will be used for the elections. The Commission had already determined the design of the ballot paper, the languages to be used on the ballot paper and the manner in which the ballot papers have to be accounted for as required by sections 23 and 24 of the LG:MEA, 2000 and the voting hours of voting (section 45, LG:MEA, 2000). Looking at Information and Communication Technology (ICT), training was already conducted to parties on the new Candidate Nomination System, drills will be undertaken to test the IECs disaster recovery plans while the results systems will undergo independent audits. Political parties will have the opportunity to satisfy themselves that indeed, the systems were fit for purpose, dry-runs will be scheduled and all offices will participate in these dry runs - this was a stress test similar to events on or soon after Election Day. In terms of conditions for free and free elections, Electoral Amendment Act and related Regulations have been passed and were now incorporated into the training materials content. Measures had been taken to strengthen the role of party agents at voting stations and results capturing centres (MEO offices). Counting was planned to commence immediately after the closure of voting stations. Counting will be done in the presence of party agents and observers. Results slips will be completed at each voting station and signed-off by the Presiding Officer, party agents and observers present during counting. Mr Moepya then explained the Constitutional Court matter, following the Electoral Court judgment in the Kham and Others vs The Independent Electoral Commission and Others, the IEC approached the Constitutional Court for clarity on, inter alia, (1) whether the absence of a voter’s address in the voters’ roll invalidated the voters’ roll, (2) what the terms “...where such addresses are available’ in the context of section 16 of the Electoral Act 1998 meant and (3) what did the Constitutional Court mean in terms of its order when it referred to the prospective application of its order in the Kham matter. The Constitutional Court heard arguments on this matter on Monday 9 May 2016 and judgement was reserved. The Committee was then informed of the numbers of the voters' roll pre-registration weekend where there was 65% partial or no addresses and 35% completed addresses compared to the voters' roll currently which stood at 26.3 million with 54% potential complete addresses and 46% partial or no addresses. The IEC Contact Centre was opened on 9 November 2015 and was open from 7am to 9pm weekdays. It catered for all official languages and from January the service included Twitter, Facebook, web-chat and email. The Chairperson asked about the state of Vuwani and if it remained as it was, what kind of threat this presented to the Commission and how it would be managed. The ideal would be to have the issues corrected so elections took place everywhere including in Vuwani – was the IEC alive to proactive measures? He emphasised that the quality of input made by political parties and civil society into the elections would lead to the quality of the outcome of the election. Mr E Mthethwa (ANC) asked why the 65% (partial or no addresses) formed part of the application before the court instead of it being a separate issue altogether. Ms H Hlophe (EFF) found the reserved Con Court judgement worrisome - what if the Court ruled against the IEC? Would the elections continue? Would it not cause a riot in the country? What were the plans of the IEC? Was the IEC prepared to exclude those people who did not provide their addresses? If certain political parties did not bus in people, the IEC would not have been taken to Court. She wanted to know what the plan was to verify these addresses – when she visited voting stations during registration, she found electoral officers were not even emphasising the need for addresses. There were also pockets of areas where people did not want to register because they did not want to be moved from one VD to another – how was this situation taken care of? She sought clarity on the 616 in one VD in KZN and why this number was so high in Nkandla. Mr Mashini replied that the Constitution outlined a 90 day window in which elections must be conducted and the IEC was committed to meeting this constitutional requirement. Whatever the order of the Con Court, it would be executed by the Commission. The plan was to hold elections on 3 August with the proclamation to be made soon by the Minister in consultation with the IEC. Mr Moepya explained that sometimes people re-registered because they were unsure of certain things, for example they received a new ID, but re-registration in a VD had no effect except for providing particularities in terms of addresses – this was the case with the 616 in KZN. Mr A Figlan (DA) was concerned that only 35% of voters had addresses – before people registered, they filled in a form with information including addresses so what happened to this information? Was there an accident, was the information lost or destroyed in a fire? When he was doing oversight on one registration weekend in his constituency, he encountered problems and he was questioned as to why he was visiting – if politicians were being used as officials then the election would not be free and fair. This also tied into the issue of why SADTU members were being used as voting managers. He then questioned the use of tents used as some voting stations and if these tents would also be used as counting stations. Was there a plan B if the Court ruled that the election could not go ahead? Mr Mashini indicated that prior to 1998, there was no requirement for an address and there were no municipalities. Some data was captured, some was not legible enough and there were rains and fires which affected where matters were today. There were checks and balances when it came to counting – in principle, one voted where one was registered and counting happened after the voting station closed. The presiding officer was to sign the results along with the party agents and for results to be posted on the door so members of the public in the area were aware. After auditing etc, there would be final verification. Mr C Matsepe (DA) wanted to know why some people who stayed in the same locality, like an old age home, registered and upon checking their details, were informed by the IEC that their details were wrong because they used the same address. Why were international observers not deployed in the most rural areas for a change, as opposed to the cities were conditions were relatively less risky? Mr Moepya pointed out that work was done 24/7 at the IEC Office in Centurion to ensure there were addresses to update the voters' roll – this was seen in the figures in the presentation alluding to the reduction of the number of persons without addresses so a lot of work was done in this respect. The issue was that people were mobile at any point in time – what they provided to the IEC at the time of registration was captured on the system. It was not the case that the IEC destroyed a lot of addresses on the system – not a single address was removed from the system. The first time addresses were printed on the voters' roll and was used in the first registration weekend on 5 and 6 May – never before had it been done in SA. With observers, they applied to the IEC, in terms of section 84 of the Act, but the IEC could not tell them where to go – the observers chose where to go and they were not restricted by the Commission. The IEC simply accredited them. Mr Terry Tselane, IEC Vice Chairperson, added that the observers determined for themselves where they wanted to observe the elections and the IEC simply accredited them. The observers were independent and determined their own programmes depending on their budgets – they were not funded by the IEC. Ms T Kenye (ANC) asked if the IEC SMS number was still relevant when talking about the addresses. The date of election had not yet been proclaimed, were there any outstanding issues beside the Constitutional Court matter? It was commendable to see the growth in registration of the younger age groups but what was the strategy of the IEC to ensure that they actually voted? How many potential voters had been reached through social media? Mr Mashini said over 6 million people were registered because of the unprecedented work done including sending SMSs to people to update their details and an unprecedented partnership with Facebook to target young people. Mr Moepya added that a lot of excellent work had been done in the SMS area – initially the SMS was for people to check their registration details but in this election, for the first time, it would do a multiplicity of things by checking registration details, checking address details, when candidates had enrolled, knowing ward candidates and results in wards. This SMS line had evolved to enrich voters much more and it remained very relevant as the number was synonymous with the IEC. Mr Tselane added that media was used a lot for voter education – the Commission had a relationship with the SABC on radio and television and these platforms were being utilised for purposes of the election. The Commission also worked with community radio for assistance in education. Education could also be outlined by buying space in newspapers. Ms N Mnisi (ANC) wanted to know how the IEC would monitor on the ground that the Code of Conduct was followed to the letter and the consequences for those not playing by the rules. She also sought clarity on whether the IEC had any special proactive plans to assist those in rural areas who had to cross rivers to get to the stations on election day – was the Commission ready for that? Mr Moepya answered that the IEC looked at all areas and worked with stakeholders accordingly. Even in the last registration weekend there were places, for example, where access was not easy and a helicopter was needed to drop staff and material and uplift them when finished. The Commission even worked with disaster management in municipalities, provinces and national level so the necessary precautions were taken where it was possible or where it needed to be done. Mr Tselane explained that with the Code of Conduct, for the first time, a directorate for dealing with electoral offences was established to resolve disputes or refer issues to the Electoral Court. This mechanism was used to monitor implementation of the Code by political parties and candidates – once one participated in elections, one basically subscribed to the Code of Conduct and was bound by the provisions of the Code. At times, some issues were pure criminal offences which would be referred to the SA Police Service (SAPS) with whom the IEC worked closely. Mr M Mapulane (ANC) liked the analogy of the IEC as a referee in a game – in a game; referees could issue yellow cards as a warning and also red cards. He thought the signing of the Code should represent a commitment by parties to play by the rules and the referee of the game should be able to enforce these rules and issue a red card. If there was no Constitutional Court case pending, what would be the commitment of the Commission to get all the addresses on the voters' roll taking into account that some people really did not have addresses? Ms D Raphuti (ANC) was very worried about those with no addresses and that the IEC would be going to the poll with such alarming numbers – would this result in a free, fair and credible election? Mr Mashini said that when the voters' roll was analysed, one third of people on the roll had their addresses, the other one third had no addresses and the remaining third had some form of address but the Court found it to be generic. StatsSA was engaged and the Surveyor-General of SA. SA was a mix of developed and developing parts but the fact was that eight million dwellings did not have an address. Land marks were then discussed and that was being used to assist the process. One clear order was needed which the Commission would execute. The IEC was trying its best to locate those without addresses in the particular VDs they resided in and the Commission was of the view that, to a large extent, people indicated they lived within the VDs but the Commission could now only wait for the Court. There were three categories of voters' roll data – the first was from 1998 and 1999 (1994 was not counted because there was no voters' roll). The 1998 data was compiled over three registration rounds amounting to 18 million voters. At that time there was no requirement for an address – the law required voters to be South African and have a bar-coded ID. In 2003, Parliament amended the law to require addresses - the issue before the Con Court was to address this matter once and for all to either having addresses or, as the Statistician-General said, an identifier of a person. Mr Moepya added that the IEC was working with every conceivable institution in the country that dealt with the details of persons including Home Affairs to link with their system. As at 1 April 2016, StatsSA issued new revised estimate of number of households in the country at 15.2 million – 8.3 million of those households had no identifier or address. The IEC then had to find sufficient particularities or link people with landmarks – this showed the IEC was not doing nothing. The conceivable reality was that not everyone could have an address but those that did not needed sufficient particularities. When the issue of addresses were raised there were already millions on the voters' roll. Mr Tselane also added that when registration began in 1998, there were two systems running concurrently to capture ID details, namely, name, ID number and voting district were registered. This machine capturing the information did not capture addresses but it was in the form signed. Many things could happen like forms going missing or finding that the information was not sufficient or hand wiring was illegible - this contributed to the gap currently experienced along with the fact that in one area there was a fire where some forms were lost. Mr D Gumede (ANC) was generally impressed with the work of the IEC noting that party agents would be trained together with the staff and there were disaster recovery plans and stakeholder engagement to make the elections free and fair. He however questioned the increase of voting districts by 2% but that there were less staff members – why would there be an increase in the number of sites but reduction in the number of staff? Mr Mashini indicated that the integrity of the elections was not just one component but a continuum of multi-layered activities that the Commission needed to prepare with cooperation of communities and political parties. This was why the Commission strove for the highest standards, professionalism and adherence to the rules. An election was a complex, intricate operation only equivalent to a war. Training of party agents with the staff was not simple because there were over 20 000 voting districts and 250 000 employees for no more than five working days. The Commission was committed to transparency of the rules and ensuring that every person employed at the voting station was vetted at the local level through the party-political liaison system. Objections were invited and would be dealt with on an individual basis as a check and balance. Mr Moepya indicated this was not the case with the staff - every voting station had a minimum number of staff members and as this election had more voting districts, there would be more staff. Mr A Mudau (ANC) felt the IEC should also use the media to teach people how to vote and should not take it for granted that people knew how to vote. Mr Mashini ensured the Committee that there were ongoing, continuous voter education activities including those groups/communities which required special attention like people with disabilities and the aged. As the stats showed today, there were more and more voters coming through so this education was continuous. The stats showed the commendable achievement by the IEC in the last two registrations – 6 and a half million South Africans responded to the IEC to update their voting details or to verify that the details already there were correct – this was why every election was preceded by registration weekends. The registration weekends were very costly – on average, every weekend cost R300 million. Mr Mthethwa asked if another registration weekend would be created if the Court voted otherwise. He also questioned the shortage of material on Election Day which resulted in people moving around to the voting stations they were not supposed to go to. Mr Mashini said that registration was open throughout the year at municipal offices but the weekend registrations was financially not possible as those resources were exhausted – each registration weekend cost about R200 million. People should be encouraged to go to their municipal offices to update details. Exceptional cases would be kept in mind where there might be a need between now and the proclamation. 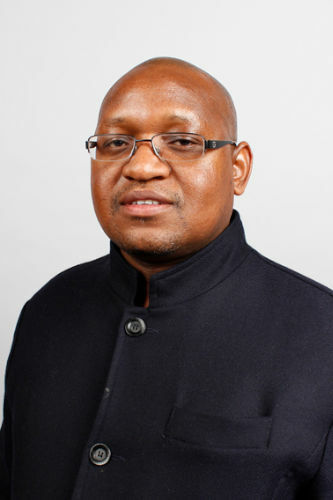 Mr Moepya outlined that there simply would not be a shortage of materials on Election Day – people were employed to manage logistics within the wards. Also procurement was done statistically correct per area of registration for voting stations to be resourced accordingly. The Chairperson sought more information on the latest day on which the proclamation could be declared so that the timetable for 3 August was not conflicted. Were there any hot issues still in the air in the engagement between the IEC and political parties which could perhaps threaten cooperation for the elections? He asked that Members understand that there were certain issues the Commission could not speak to regarding the Court case because the matter was still sub judice. Perhaps further engagement could be had with the IEC after the Court had ruled to clarify on plans moving forward then after the outcome. The difficulty when a ward was moved from one municipality to another was that the people in that ward would then need to re-register because all the details changed. Mr Mashini responded that there was continuous liaison with the political parties – there was agreement on some issues while others were still under discussion through the political party liaison. The emphasis was on closing gaps and reaching consensus. One of the issues where it was hoped there would be a meeting of minds was around the personnel employed – there were still divergent views on this. The Commission was committed to addressing these issues over a period of time. Mr Moepya added that the latest date for the proclamation would be within the next ten days. Following legislation, a minimum of 73 days was needed from the proclamation date. In relation to Vuwani, Mr Tselane said elections had to take place everywhere in the country including Vuwani – if elections did not take place, if a new municipality needed to be constituted, it could not be done. It also had implications on the district municipalities so elections needed to take place everywhere in the country including Vuwani. Elections also needed to take place 90 days after the last municipal elections and the last date was then 16 August 2016 so there could be no postponement so as not to compromise the date contained as outlined in the Constitution – changing the date meant amending the Constitution and he was sure there was no appetite for this. The good thing was registration already took place so there was a voters' roll for these areas. Those in Vuwani could also visit municipal offices should they want to change or confirm details or even register – he did not know how many people took advantage of this platform but it did exist. The Chairperson sought clarity on people registering in different VDs for different elections and wanted to know what happened in such a situation. Mr Moepya explained that in the elections for the National Assembly, SA was one constituency – as long as one was in a territory of the Republic of South Africa, a ballot could be cast. In provincial elections, each province was a constituency for those registered in the province but in municipal elections, one could only vote in the ward registered because one was choosing an elected representative in that area of residence. This was as the law prescribed. Mr Tselane added that during LGE elections, there were almost 5000 different ballot papers as the candidates contesting differed from one ward to another. This was why it was important to register where one voted. The Chairperson wanted to know the state of readiness and commitment by the IEC to issue red cards in terms of the law following the sport analogy. Mr Tselane indicated that the Commission was very committed in ensuring there was compliance with the Code of Conduct – if there was a party or candidate that violated this Code, action would definitely be taken. An official from the Department of Home Affairs (DHA) added that the Department also stood ready and prepared for elections on 3 August 2016 and to support the Commission. DHA offices would remain open on the day to ensure assistance was provided should it be required. He requested that citizens collect IDs and smart ID cards still lying at offices – political parties should encourage this collection. The Chairperson felt it important to note that the provision of addresses lied with municipalities and local government for citizens. The current situation was difficult for the Commission but everyone should continue to pray that the outcome from the Court assisted in actually holding the elections. The Committee called on political parties to ensure they adhered to cut off dates in terms of submission of documentation and that they deploy party agents which had reasonable capacity to understand the situations they would be dealing with in the voting stations to ensure a successful election. Elections were important to democracy and it was important to ensure that staff employed at the voting stations were easily recognisable and properly trained. The quality of elections largely depended on the quality of participation and input of political parties.